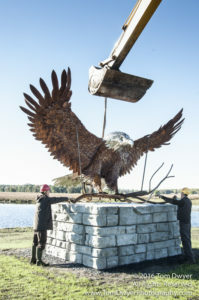 Commemorating the U.S. 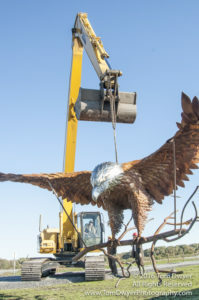 Fish and Wildlife’s successful Eagle Restoration Program, Jay Seaman was commissioned to create an eagle sculpture. 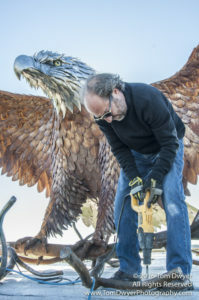 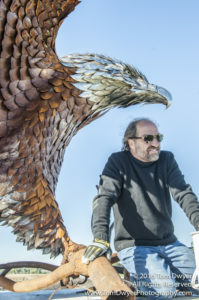 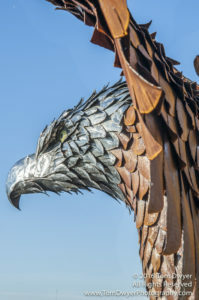 With a wing span of nearly 20 feet, Seaman’s eagle sculpture was installed in 2016 in the Montezuma Wetland’s Complex. 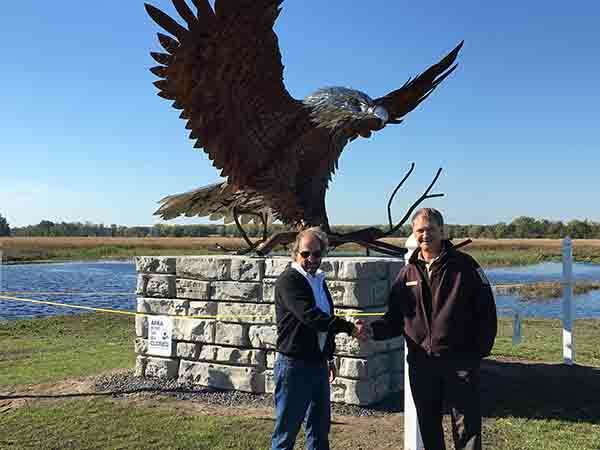 James Seaman, in front of his Eagle Sculpture, with Tom Jasikoff, Refuge Manager, at the Montezuma Wildlife Refuge.